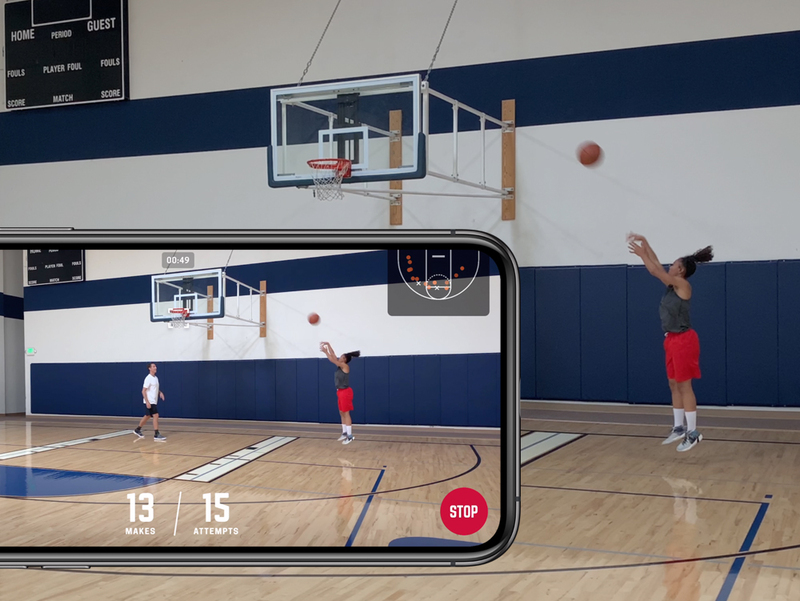 The HomeCourt basketball app has been updated with the Shot Science feature demonstrated during Apple’s iPhone XS keynote. HomeCourt uses CoreML to track basketball shots by simply pointing your iPhone at a court. • Developed under the guidance of two-time NBA MVP and Hall of Fame point guard Steve Nash, Shot Science helps you train with deep, meaningful insights that were not visible to the naked eye until today. • Understand your game like never before with metrics like release time, release angle, vertical, and speed for every shot you take. • Review your videos and workouts with session summaries, charts, and shot-by-shot Shot Science analysis. • Our premium subscription bundle is now called HomeCourt Pro and includes both unlimited shot tracking and Shot Science. • $7.99 Monthly Subscription or $69.99 Yearly Subscription. • New video effects for both viewing in-app and export to share. • Full video available to download and share. To use Shot Science you will need an iPhone XS, iPhone XS Max, or iPhone XR. You can also use an iPad Pro (12.9 in) 2nd generation or an iPad Pro (10.5 in). You can download HomeCourt from the App Store for free.